Quebec turned into a crystal wonderland when freezing rain turned to ice, but that ice took down trees and power lines, depriving millions of electricity. 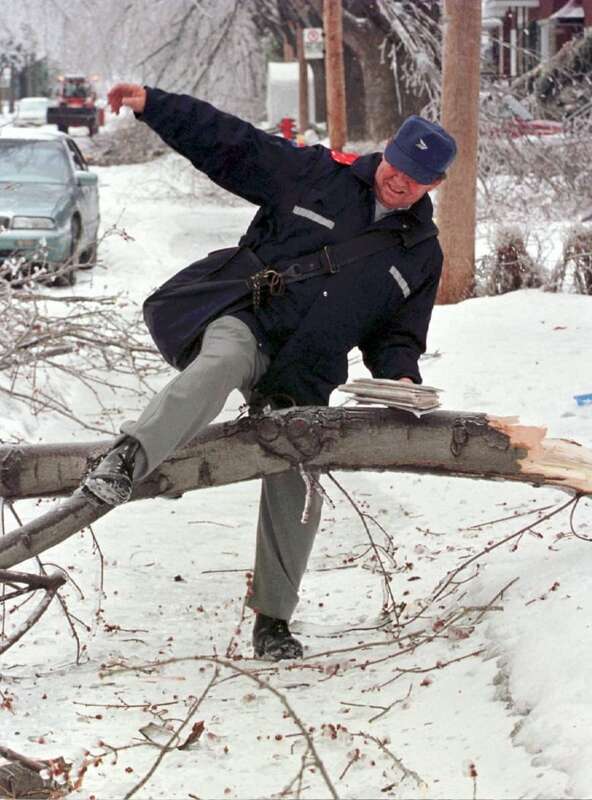 The storm killed 35 Canadians, making it one of the worst natural disasters in Canadian history. 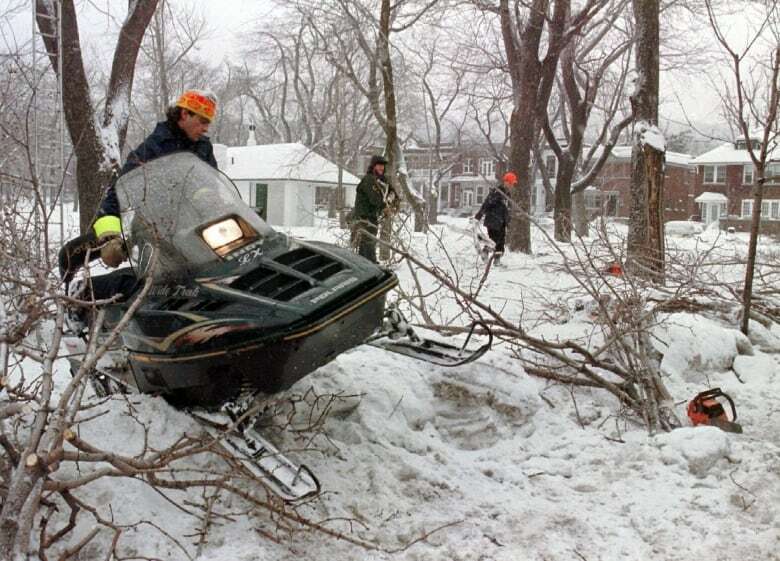 Twenty years ago this week, starting on Jan. 4, 1998, southern Quebec and eastern Ontario were pelted with as much as 100 millimetres of freezing rain and ice pellets — an ice storm that lasted five days. At its peak, 3.5 million Quebecers — roughly half of Quebec's population — and more than a million Ontarians, as well as thousands in New Brunswick, were left in the dark, many for several weeks. The affected regions were hit with double the amount of precipitation they normally receive in a year. Although accounts vary, Public Safety Canada's disaster database says 35 Canadians were killed as a result of the storm. 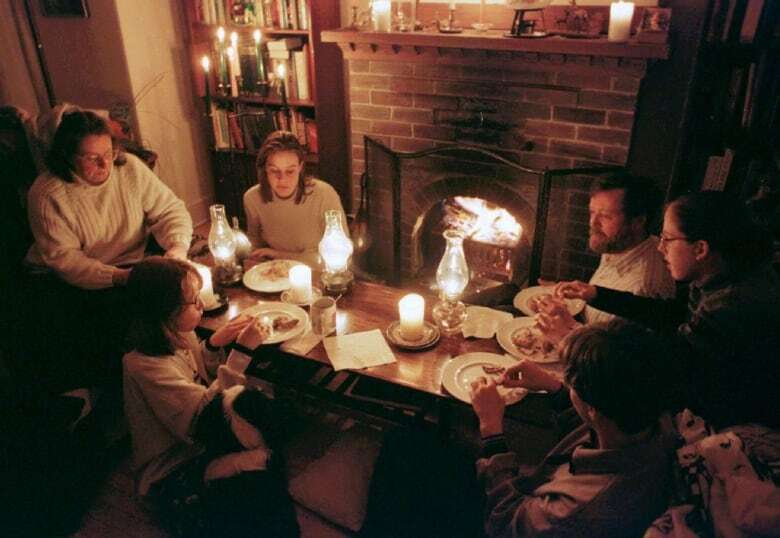 The causes of death include carbon monoxide poisoning, trauma, fire and hypothermia. Three Quebecers died weeks after the storm ended, while clearing snow and ice from their roofs. The fatalities made it one of the worst natural disasters in Canadian history. In a statement, Prime Minister Justin Trudeau pointed out that despite the tumult, "Canadians welcomed neighbours, friends, and family into their homes, sharing generators and hot food." "Twenty years later, time has not dimmed the outpouring of compassion, and sense of community Canadians showed to each other. Today, I hope all Canadians reflect on, or learn more about, the Great Ice Storm, and how we were there for each other." Lucien Bouchard, who was premier at the time, said he found himself at the head of an unpredictable situation. "The rules were unwritten, we didn't foresee something like this happening. There was no security plan that was drawn up. It was [so] unlikely. We had to invent everything, improvise everything. We used our instincts," he told Radio-Canada. Many Quebecers were unable to go anywhere, as vehicles were encased in ice and many roads were closed by downed trees and power lines. 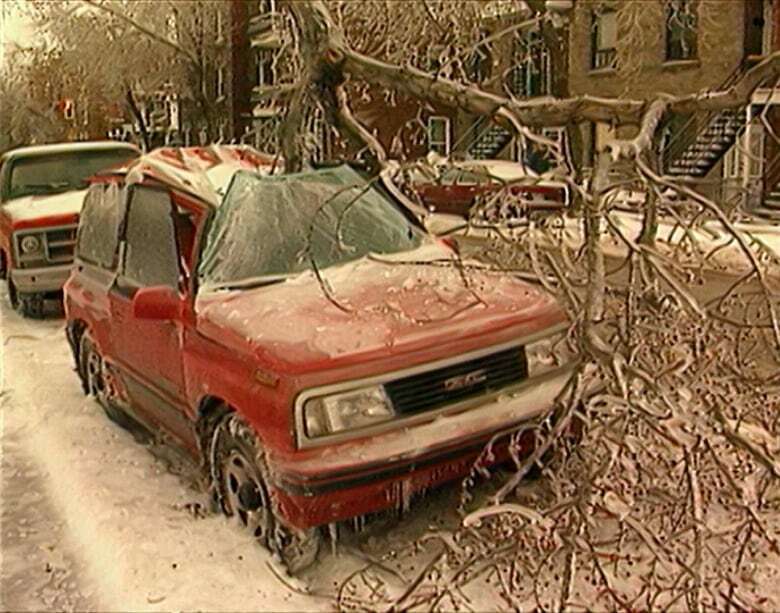 The ice storm was the result of a unique combination of weather systems formed over a huge swath of Ontario and Quebec. When the systems converged, successive storms built up layer upon layer of sleet, not letting up until Jan. 9. 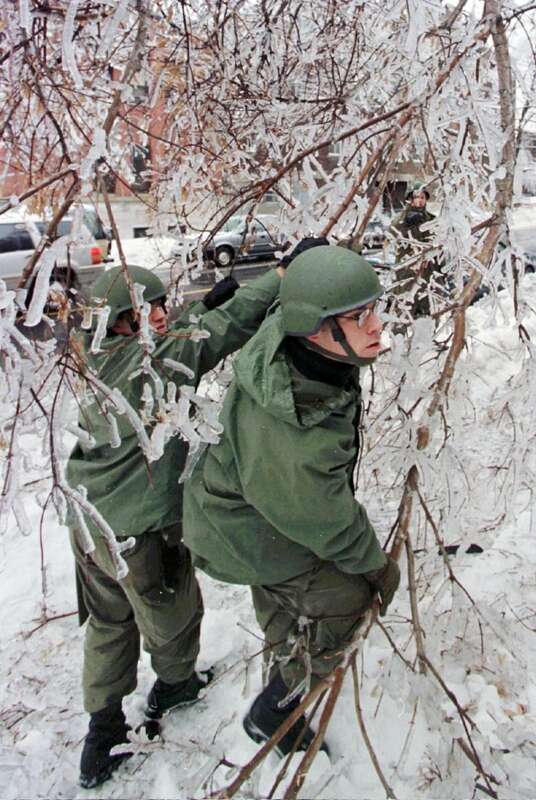 Tens of thousands of trees and branches broke under the weight of the ice, many snapping power lines as they fell. 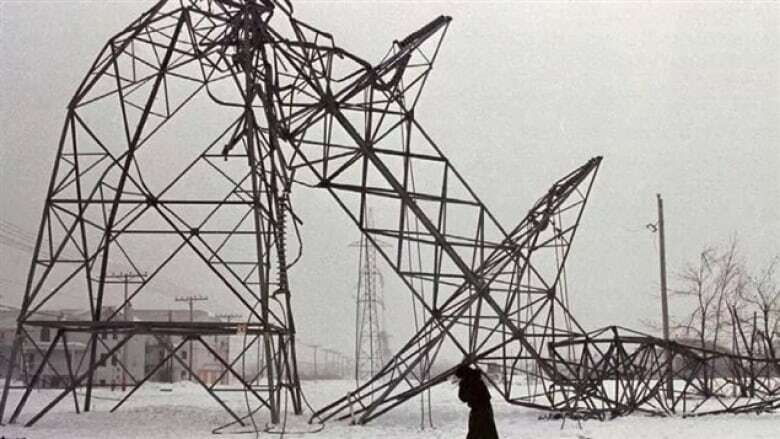 At least 30,000 utility poles fell, and more than 1,000 giant hydro pylons supporting the high-power transmission lines that run from northern Quebec, supplying Montreal and much of the rest of the province with electricity, crumpled under the weight of the ice. At least 600,000 people, including seniors in long-term care institutions, were forced from their homes into hotels or other shelters with emergency power backup. Authorities declared a state of emergency, calling in the Canadian Forces to clear roads of branches and debris, help move stuck vehicles and stranded families and help repair power lines and other infrastructure. It was the largest peacetime deployment of troops in Canadian history, with more than 15,000 troops dispatched to Quebec and eastern Ontario for Operation Recuperation. The storm had an enormous financial impact as well, by one estimate costing $5.4 billion in insurance claims, utility repairs and lost productivity, as schools and universities were closed and millions of people went unpaid, unable to get to work. Quebec's maple syrup industry was severely affected as trees and syrup lines were destroyed. Some syrup producers in Quebec lost their entire livelihood when their sugar bushes were destroyed, with economic losses in that industry alone in the tens of millions. Some 300,000 farm animals died. Most froze because farmers didn't have enough generators to keep barns heated. After the storm, the province launched an inquiry led by engineer Roger Nicolet. 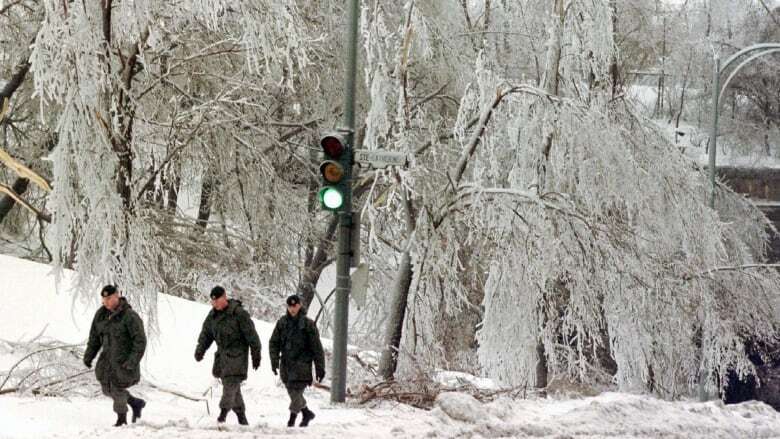 In its report, Facing the Unforeseeable: Lessons from the Ice Storm of '98, the Nicolet commission concluded that Quebec's civil security system largely failed, Quebecers were not adequately prepared for disaster, and Hydro-Québec's power grid would have been safer if the entire system had been buried. The commission urged Hydro-Québec to reinforce its grid and introduce measures to limit the scope of future blackouts. 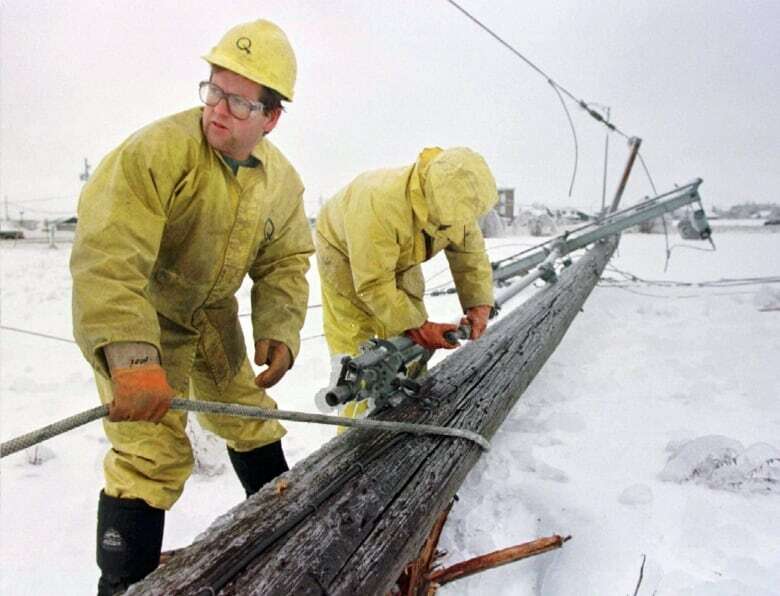 Hydro-Québec spent about $2 billion repairing and rebuilding its network after the storm. It replanted and reinforced wooden utility poles to prevent the domino-toppling effect, and some electrical lines have been buried. 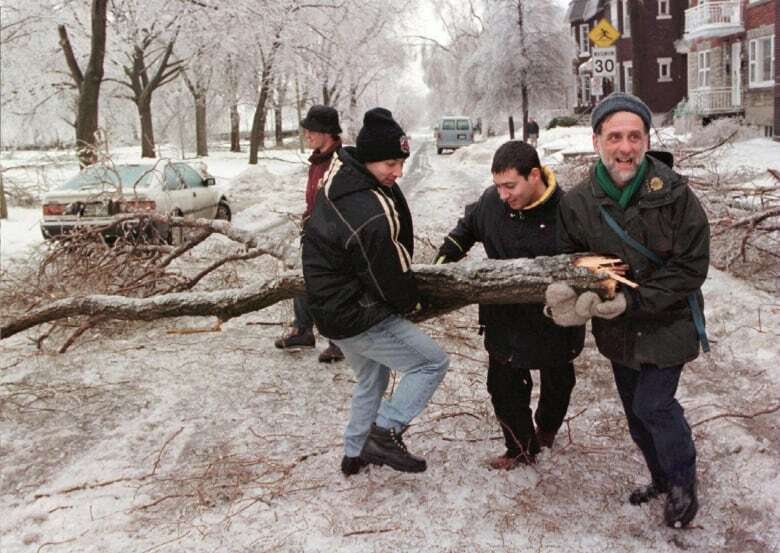 Share your photos of the 1998 ice storm by emailing webquebec@cbc.ca or using the #cbcmtl on Instagram.